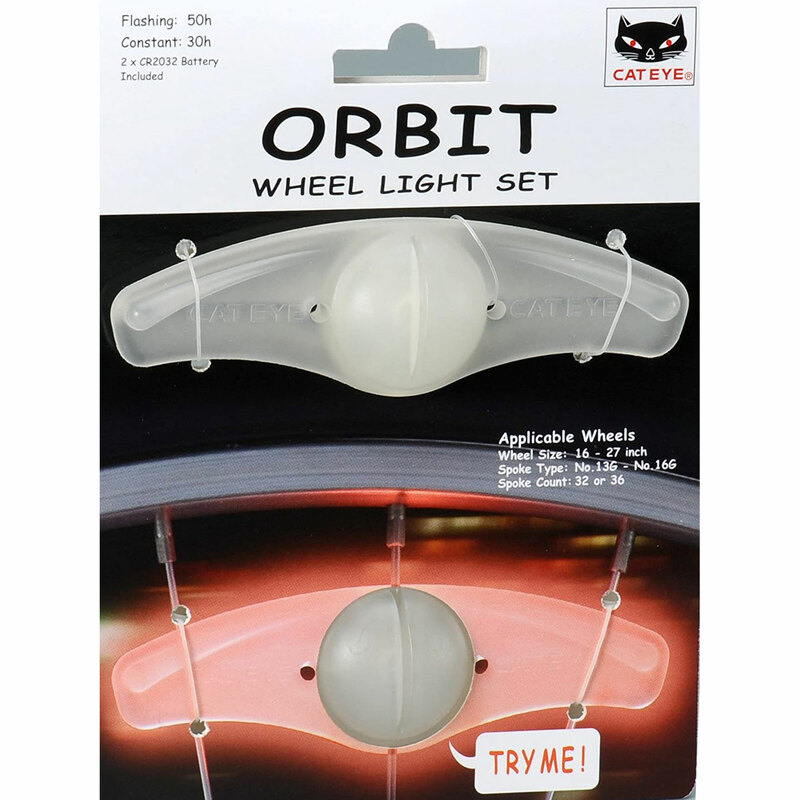 These all new spoke lights from Cateye fit neatly to the wheel and unlike reflectors don't require the reflection of vehicle lights to be seen. Once illuminated the powerful LED's light up the wheel making you side-on visible when stationary or moving. The 'spokes' create a powerful ring of light when in motion, giving you and the bike an extre layer of safety on the roads. Which colour does this lamp have? Orange? Red? Yellow? This products uses one red and one white light. We do not export this product due to Lithium batteries.